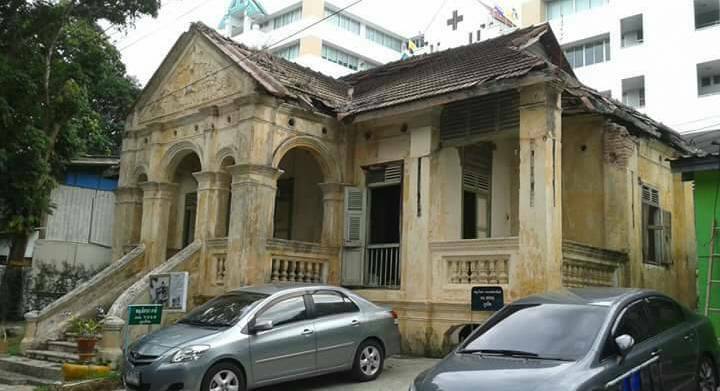 PHUKET: Local officials are calling for people to support the fight to save a century-old Phuket Sino-Portuguese home slated for demolition as part of the plans to expand Vachira Phuket Hospital in Phuket Town. Known as the “Boonphat Building”, the abode is in classic Sino-Portuguese mansion style and surrounded by mahogany trees planted during in the reign of Rama VI (Phra Bat Somdet Phra Poramentharamaha Vajiravudh Phra Mongkut Klao Chao Yu Hua) in 1917. 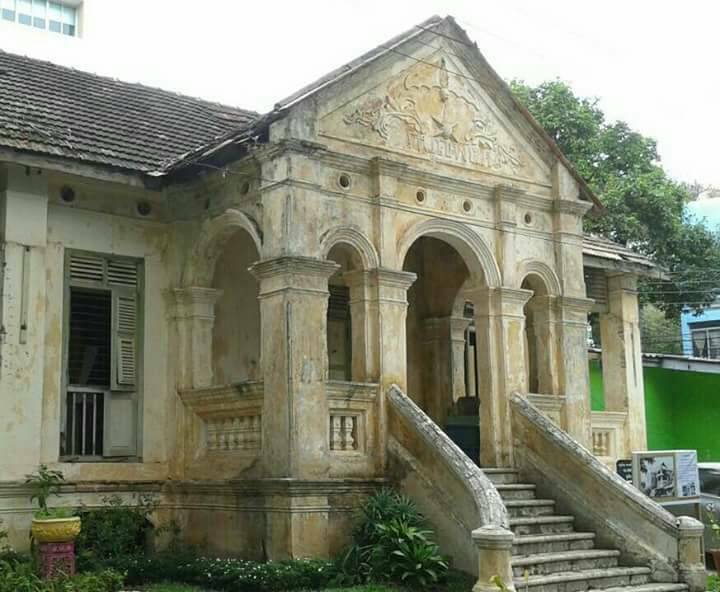 “I want every one to join the campaign against the idea of demolishing this Sino-Portuguese building because the building is important to Phuket,” Atsawin Auttatum, President of the Culture Office in Phuket Town, posted on his office's Facebook page yesterday (Aug 25). “I thank all of you who love our culture. We should care and be concerned about Phuket’s historic sites,” he said. Thawatchai Thataisalsilp, Archaeologist at the Region 15 Office of the Fine Arts Department, based in Phuket, visited the area and inspected the building today. 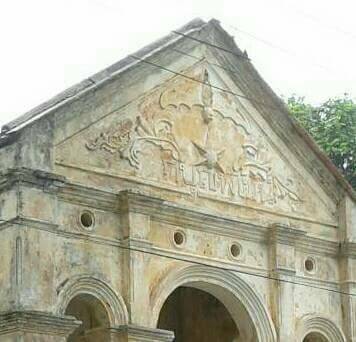 “The building is almost 100 years old and in Sino-Portuguese style. It is located near the Baan Khun Phum Building and the Ranong Building,” he told The Phuket News. “The building must be repaired and renovated, but any such work must first be approved by the Fine Arts Department,” he added. “The hospital, as the owner, has the right to demolish the building, but in this case it involves a historical site, and as such demolishing the building would contravene the Act On Ancient Monuments, Antiques, Objects Of Art And National Museums (see here),” he added. “Tomorrow, a Deputy Director of The Fine Arts Department will come to inspect this building himself,” Mr Thawatchai said. More power to  Atsawin Auttatum, finally a Thai official that actually has concerns for things of value to all Thais. If the powers associated with Vachira Phuket Hospital had any class and foresight, they would integrate this historic structure and trees into the new hospital design, thus creating a modern facility with character and style that is so desperately needed on this island. There is the possibility of dismantling the building and then reassembled on government land as it is one in many countries around the world. Or, to move Vachira Hospital to another large piece of land because the roads nearby are congested by traffic jam. I really hope the thai people see the importance of conservation/renovation of historical buildings on Phuket.